Choose the Membership That Suites Your Goals. Scroll down to see all the benefits. Full Access to MATA PLUS Certification Course. I understand and agree to all other Terms and Conditions detailed on this page. The term Seconds Out, Inc. or ‘us’ or ‘we’ refers to the owner of the website whose registered office is 2618 Hawk Roost Court, Holiday, FL 34691. The term ‘you’ refers to the user or viewer of our website. Because you are always in control of your credit card, paypal.com, or check draft, under no circumstances are refunds issued. To cancel your account, visit send an email to mataservice@mac.com. Make sure all cancellations are confirmed to avoid additional charges. We do not offer any refunds. The website is owned by us. The domain is owned by us. You warrant that you have full rights for commercial reproduction of any images, video, or graphic elements that you provide. You warrant that you have full rights for any written copy you provide. You warrant that you have full rights for commercial reproduction of any testimonials that you provide. You warrant that you provide us with an indemnification of liability for any causes that rise from the use of our this website, the website you lease from us or any another causes related to these sites. Card Verification Code ( 3-4 digits ) * need help? MATA-Pro and Certification Annually. Full Access. downloads, interviews, and articles on that subject. The MATA Instructor Certification Program is the industry standard for instructor education. As a MATA-Pro member, you'll get full access to the Modules, Lessons, and Courses. MATA has a huge and growing library of professionally designed marketing and management files plus audio seminars. 2015 – Author, Who Killed Walt Bone? The Student Sales Funnel System is a touch point by touch point system that takes a stranger from student to black belt. Black Belt Management is the book that started it all. The new edition is updated and better than ever. Getting a steady stream of media appearances is the most powerful marketing strategy. We'll show you how to become the martial arts star in your area. 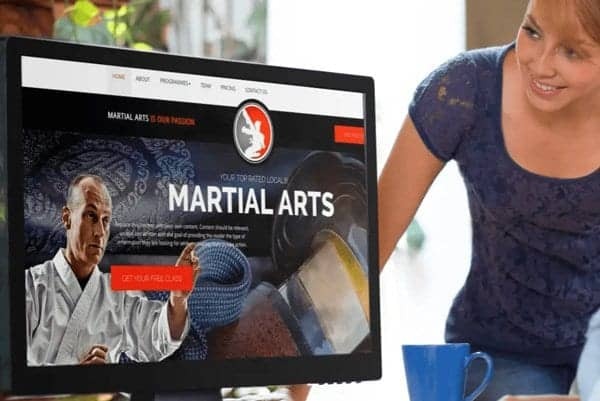 MartialArtsTeachers.com is a massive resource of everything you need with video training, audio seminars, marketing, staffing, teaching, and planning your martial arts school. Once you join, you can optin to received courses delivered to your email inbox. This way MATA comes to you. As powerful as social media is for marketing, it's even more complex. MATA makes it easy for you with Social Media Marketing Courses. Look professional and profound on Facebook with our Facebook memes. Our 24-module MATA Life Skills program includes a focus word or phrase and then lesson-by-lesson stories, lessons, and drills related to the life skill. Your mission as a martial arts school owner is to create a business that runs on systems, not people. We show you how in this course. We take our membership fee through credit card or PayPal. So, if you have a PayPal account, you can just use that. If you don't have a PayPal account, you can quickly and easily pay using Visa, MasterCard, AMEX, or Discover. Of course, no problem - MATA is a monthly service and you can cancel, upgrade, or downgrade any time. That's up to you. You can save a lot of money with our annual membership. Absolutely! That why organizations like the Association of Fitness Studios (AFS) and COBRA-Defense use MATA. We deal with each case individually. Please contact mataservice@mac.com outlining the type of organization you are and we would be happy to help you. Sure. We're a picky organization, but let us know what you have in mine. You'll be in great company with Sports Fitness Insurance Corp., Member Solutions, Clearent Payment Processing and other great companies who want to reach martial arts school owners. Our member support team is here to help! Use the chat or email us at mataservice@mac.com.